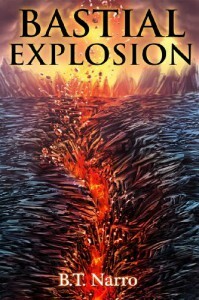 ABR's full Bastial Explosion audiobook review and many others can be found at Audiobook Reviewer. Bastial Explosion is the third novel in the series The Rhythm of Rivalry written by B.T. Narro. This novel follows the wartime activities of a group of students, both human and of other races. The students at this academy learn special skills such as potion making, fighting, magic, and psyche. They are sent on missions because of the academy is a critical component of the war effort. In addition, the novel follows the movements of two of the enemy species, Krepps. One of the Krepps is allied with the humans that are the main characters and novel is exploring his adjustment to living amongst the humans. First and foremost, one of the biggest issues that I have with this novel, is that it cannot stand alone. At the beginning, different races were being introduced by name as if the reader should already know them. This would have been the case if I had read the first two books. As I had not, I needed to do some research on the internet to get an idea of what the premise of the whole series was and get familiar with some basics that were mentioned. As soon as I did that, I felt much better about the entire book, but I definitely felt as if I was missing some things. It was as if, I has started a novel in the middle. Similarly, the end of was abrupt without much conclusion in this novel. However, listening to this novel got me hooked. While some of the dialogue and romantic motivations were a little juvenile, the action in the novel is captivating and the world building pretty great. My mind did not wander and I was anxious to see what happened next. I think the character development could be improved. Sometime they seemed a little flat and their actions simply plot devices. While Lesley Ann Fogle did a great job with the different voices, there were two aspects of the narration that bothered me a lot. First, and minor, at least in the beginning, I noticed an echo-y quality to the sound, implying that the narrator was sitting in a room were the sound carries. It was distracting and probably a production quality issue. Second, and more important, the ends of chapters were not read with any finality. At the end of every chapter, it seemed like the conversations were chopped off. While this might be partially the fault of the author, a narrator should be able to accomplish this. With the long pause between chapters and I kept thinking that my phone app had shut down. 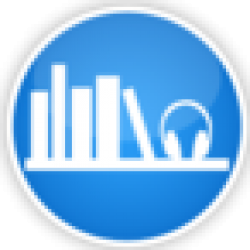 Overall, I think reading the previous novels would've helped me feel secure in my knowledge about what was going on and reading, rather than listening to the audiobook, would have been a better experience for me.